Everyone of us purchase many products for our personal and commercial purposes everyday, some of them are tangible and some are intangible. Based on this tangibility, products are differentaited as Goods and Services. Goods are tangible in nature and Services are intangible and inseperable in nature. 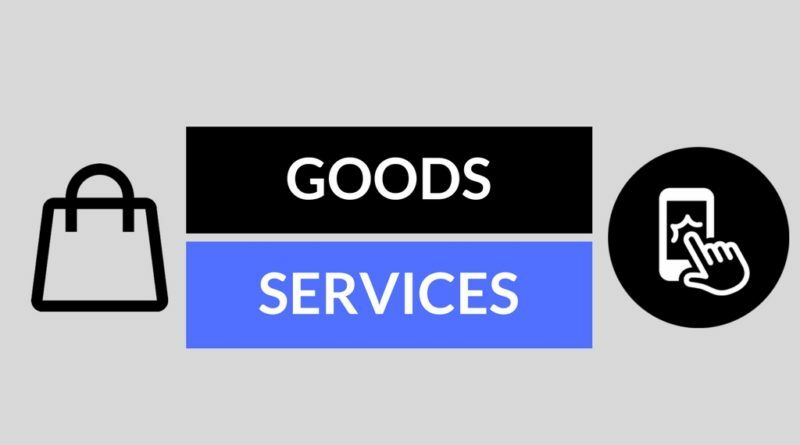 This article mainly aims at communicating the differences between Goods and Services. Goods are the things that can be offered to a market for attention, acquisition, use or consumption that might satisfy a want or need of a customer. Goods are tangible in nature, they can touched, smelled at, gripped, etc before purchasing. Goods are again classified into two categories based on their durability. They are Durable goods, which last for many years like refrigerators, washing machines, etc and Non-Durable goods which can only last for small period like consumer goods soaps, shampoos, coffee powder, etc. Goods have certain size, shape, physical structure, etc. They are neatly packed, branded, labelled, etc and they are produced in advance by forecasting the future demand and can be stored as an inventory for sales. Philip kotler, defined “service as an activity or benefit, that one party can offer to another that is essentially intangible and does not result in the ownership of anything. The production of service, may or may not be tied to a physical product”. Services are intangible in nature and they cannot be seen, touched, gripped, smelled at, tasted, etc. Services are perishable in nature and they should be utilized at a very low time period. Services cannot be stored or produced in advance like we do for goods. In services, there is no concept of transfer of ownership between seller and buyer. The quality of a service cannot be measured. Examples of services are financial services like banking,insurance,etc. and Transportation services like train travel, bus travel, etc. hotel services, etc..
Goods are produced. Services are performed. Goods are tangible and homogeneous in nature. Services are intangible and heterogeneous in nature. Goods are physical things and involves production. Services are more like a process. Core value of a good is produced in a firm or factory or manufacturing unit. Core value of a service is produced at the time of buyer and seller interaction. Customers don't participate in production process of goods. Customers participate in the production process of services. Goods can be kept in stock for future sales, inventory of goods is possible. Services cannot be kept in stock, inventory of services is not possible. Transfer of ownership of the title is possible in case of goods. Transfer of ownership of the title is not possible in case of services. In case of goods, production and distribution can be separated from consumption. In case of services, production, distribution and consumption occur at a same point of time. The quality of a product can be measured and compared with other products. The quality of a service cannot be measured. Goods purchased can be returned if not satisfied and can get refund. Services bought cannot be returned but in some cases can get refund of money. Both Goods and Services are necessary for economy to flourish in any country. In 21st century, service industry is growing rapidly and manufacturing industry has seen lot of innovation in manufacturing techniques and process because of the technology. Service industry continues growing dominating the manufacturing industry in both developing and developed countries.